Best bang for Vermont business advertising buck? 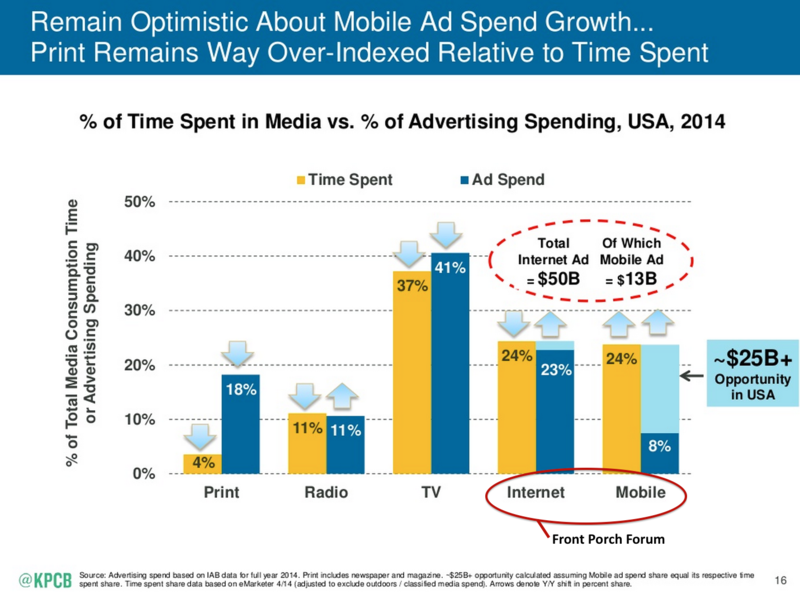 Mary Meeker’s annual state-of-the-Internet presentation summed up neatly the difference between where people spend their time and attention versus where businesses spend their advertising budgets. See the chart below (or the entire presentation here). Front Porch Forum advertisers are a happy lot who tend to be pleasantly surprised by the results they get via FPF’s internet and mobile advertising compared to their older strategies. Learn more about FPF advertising here.